Hostal Loreto is a welcoming family run hotel. We are situated right in the heart of the charming “casco antiguo” of Denia, a spectacularly positioned and fashionable seaside town on the Mediterranean coast. 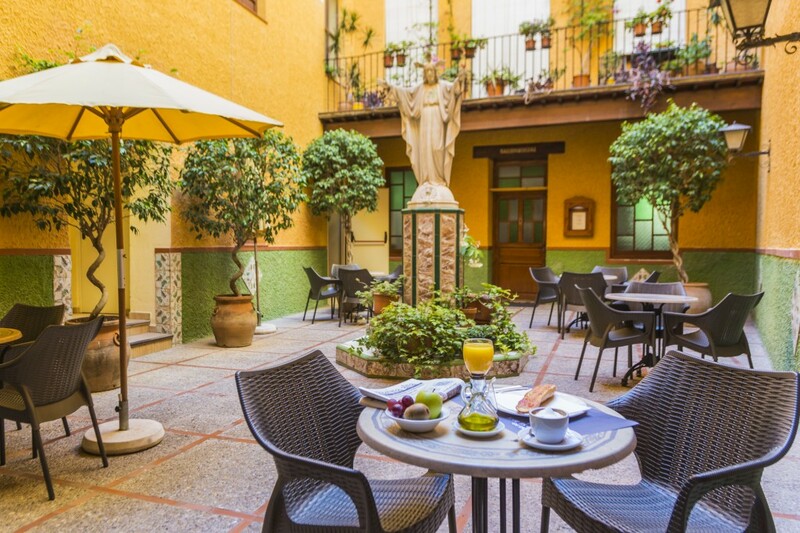 Our beautifully presented historic building, located on one of the delightful narrow pedestrian streets, was recently renovated with great respect given to its’ origins as a convent. Despite being 450 years old, our hotel offers everything you could need in the rooms; air conditioning, private bathroom, hairdryer, flat screen TV, safe and much more. Due to our prime location you cannot possibly get bored! We are a stone’s throw away from a choice of glorious beaches, the vibrant port area, the castle and many stylish shops and boutiques. 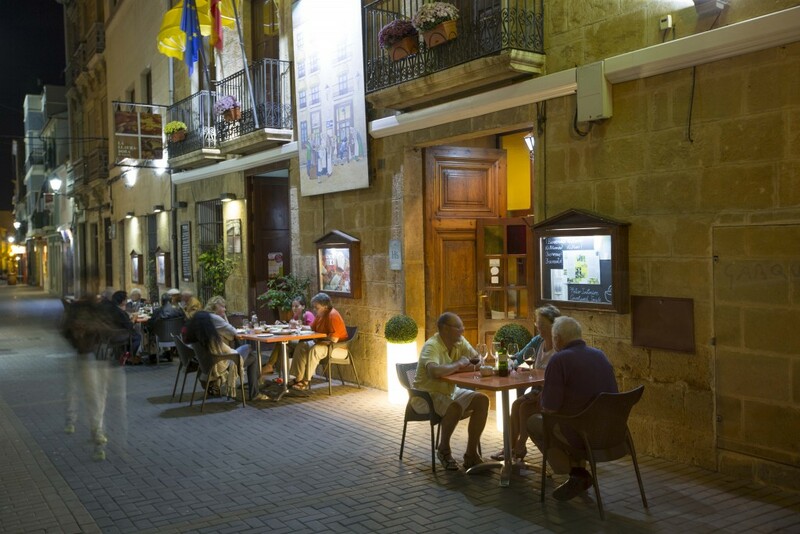 As soon as you step out onto the street you find yourself in the atmospheric gastronomic quarter, with more than 25 top quality restaurants to choose from in the old town alone. Calle Loreto is not only famous for its Mediterranean cuisine but also for its rich and authentic Spanish charisma. Let us take you on a journey back through time whilst offering all the amenities of today … are you ready? Whatever your favourite holiday activities might be, Denia truly can offer it all. The spectacular local beaches, both sandy and rocky, are a top destination for water sport aficionados. There is everything at hand from jet skiing, kite-surfing, surfing, kayaking, fishing, diving, paddle-boarding, snorkeling, boat trips and yacht chartering. Active visitors can rent bikes to explore the area. You can visit the gym or play golf, padel and tennis in top-notch facilities. Less active visitors can laze luxuriously on a golden beach whilst soaking up the sun and sipping on a reasonably priced cocktail! Culture buffs can visit Denia Castle and the archaeological museum or one of the many exhibitions in the ‘Casa de Cultura’. If you’re passionate about gastronomy you will be in “food heaven”. 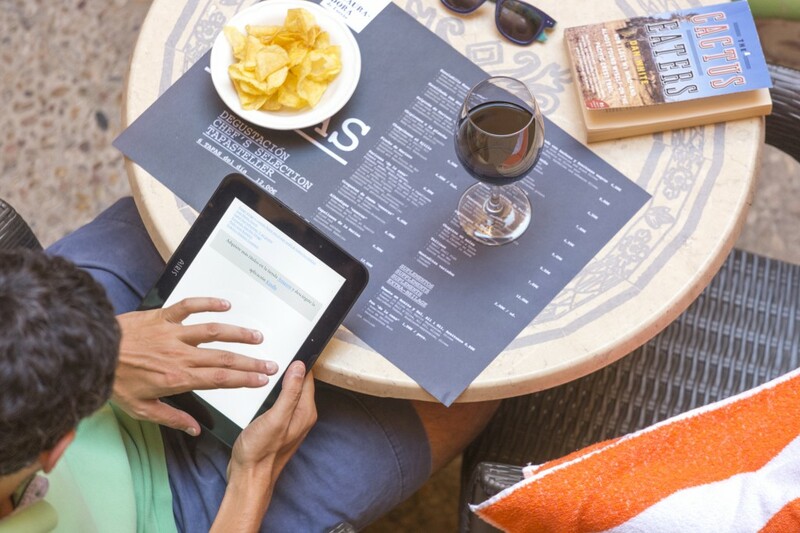 Dénia has more than 350 restaurants and a number of them are highly regarded internationally. You can find more tantalizing information in our GASTRONOMY section. The recently developed “El Portet” area, boasts many cafes, bars and restaurants, and offers a funky modern vibe. 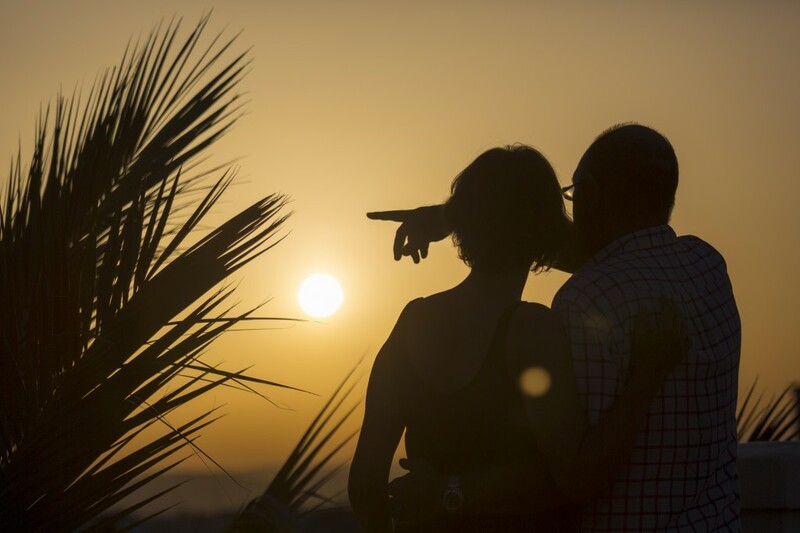 The Marina de Denia is another stunning location to while away your evening enjoying fine food, live music, cocktails and more breath taking views. In Dénia there is something for everyone. You won’t be disappointed. On the east coast of Spain, Denia is located equidistant between the stunning cities of Alicante and Valencia. We are approximately one hour’s drive away from each of these cities international airports. Denia is a nerve centre for travellers with its busy ferry terminal connecting the Spanish mainland to the Balearic islands of Ibiza and Mallorca. Denia is located on the Carretera N332, also known as Spains Route 66, following the Mediterranean coast and connecting some of Spains most visited and recognised resorts. With 20 km of stunning sandy beaches and 10 km of rocky coves, hundreds of quality restaurants, a vibrant nightlife and boasting a deep sense of history and culture it’s the ideal place for a getaway. Whether you are travelling by car, bus, train or plane you can easily find us. We hope you do! 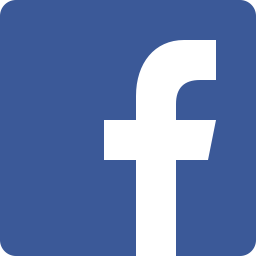 Give us a like on Facebook so that you don’t miss out on any offer and get updates of whats going on in Dénia!